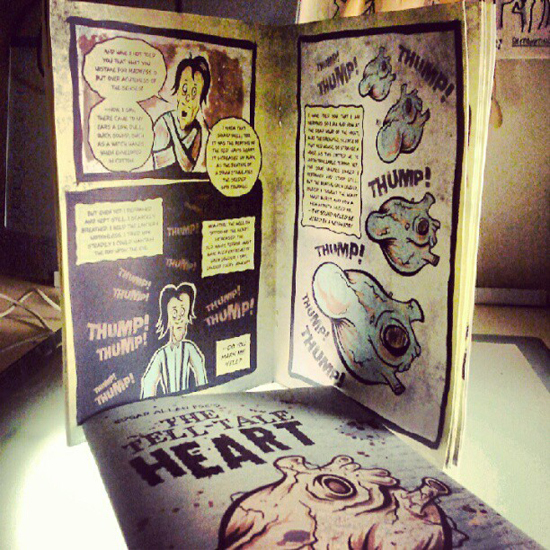 Delaware illustrator, Pat Higgins just finished a 20 page adaptation of Edgar Allan Poe’s, “The Tell-Tale Heart”. Pat will be making various appearances to promote this new book throughout the summer, starting with the Wilmo A Go-Go car show on June 10th in Wilmington, Delaware. 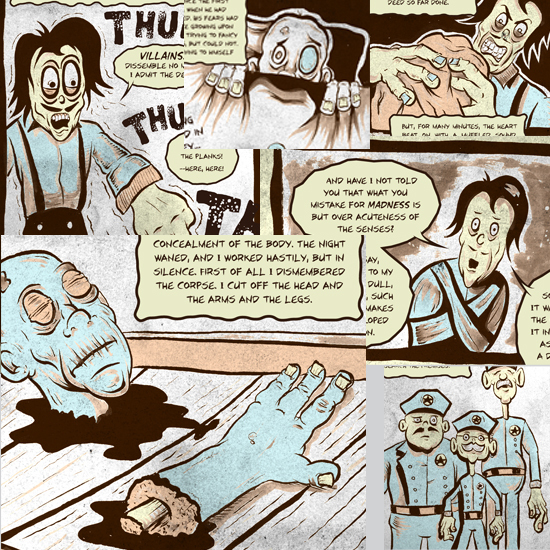 This self-published comic is available now in his online store at www.pat-higgins.com.